I love this template! Any chance you can make a change to the color for me? Looking for a specific color – Cobalt Blue! Will donate! Hi there Claudia! Thanks for your message! I can definitely change the color for you! Do you have a color code in mind? Or just ‘cobalt blue’? Let me know! Cheers! 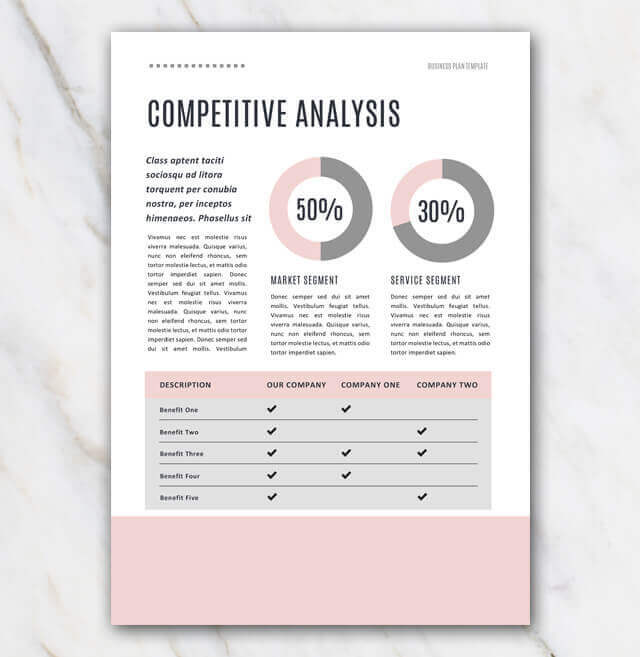 This is very similar to a template I wanted for my class project. This is perfect starting template for my graduate school project, is there any way you can include table of contents? 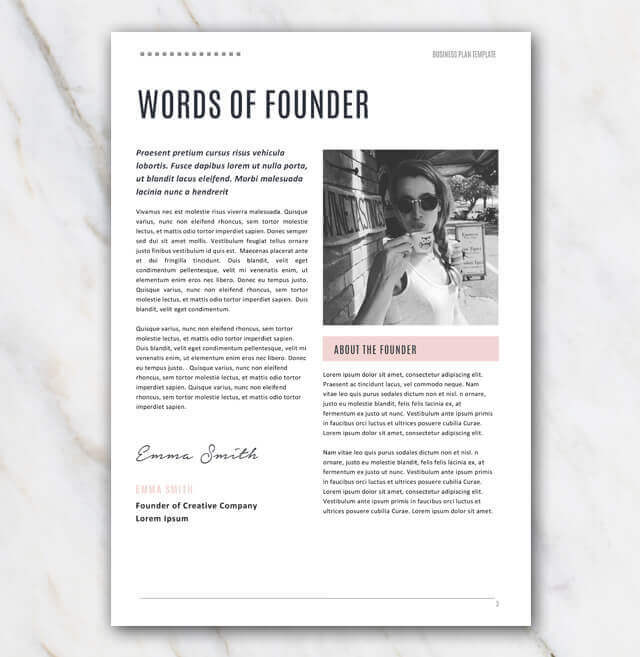 Always dreamt of starting your own business? 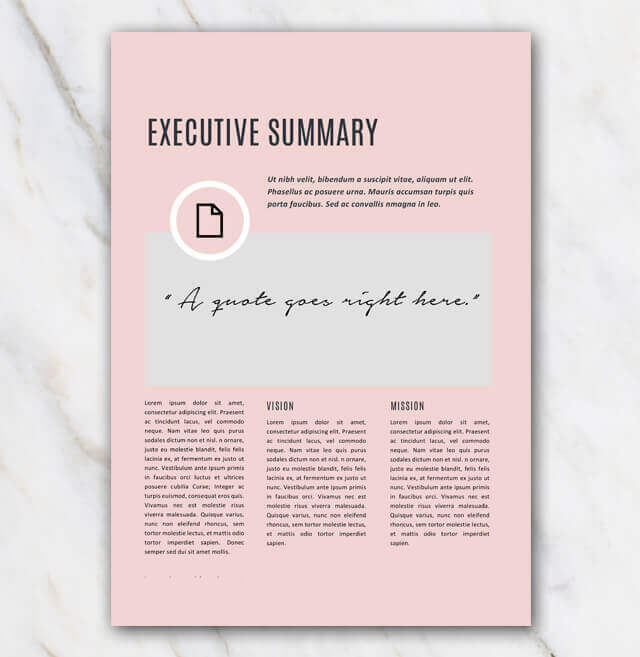 Check out this lovely and creative looking business plan template. You can start straight away! Not really into the pink-ish? 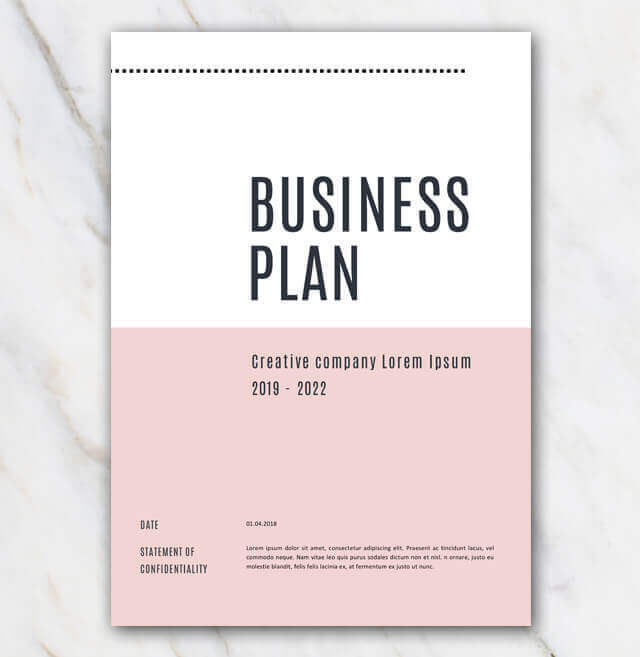 No worries, have a look at the other business plan templates and you'll probably find something you like. If not, drop me a message and I can have a look at it!.